This silver pendant with amber inclusion reflects the secrets of amber. Amber inclusions - the most popular and favorable object of paleontological researches because their remaining are very well preserved. In addition, they are very well endured. Amber inclusions are interesting to study and in nowadays, because the remaining of flora and fauna are the best witnesses of far geological and biological past. 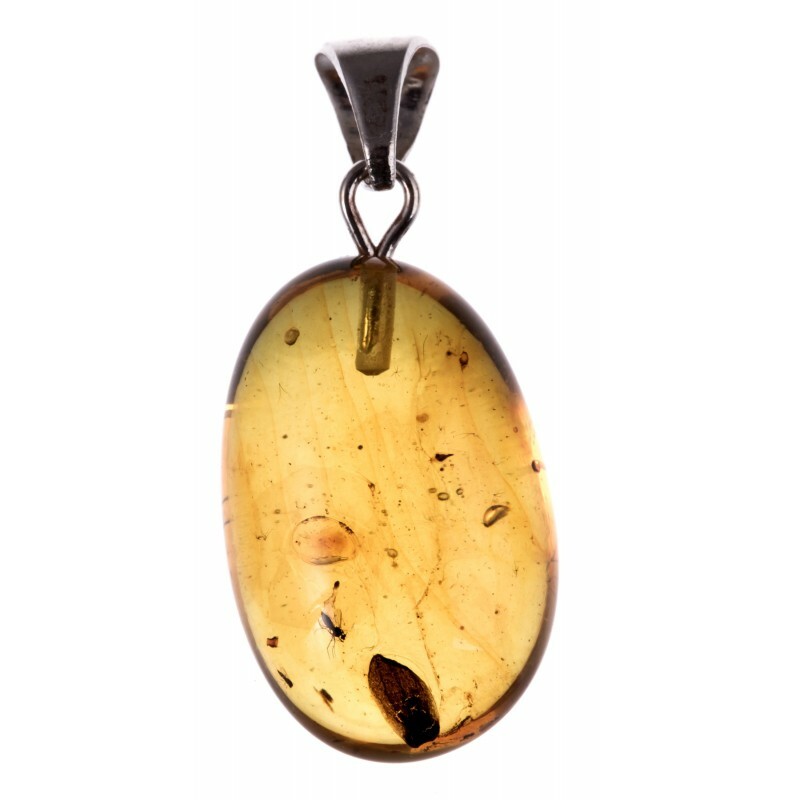 We know that inclusions - are the fossils stiffed in the resin million years ago and their "treasuries" - amber pieces - have become very important and for the science and for their aesthetic qualities.